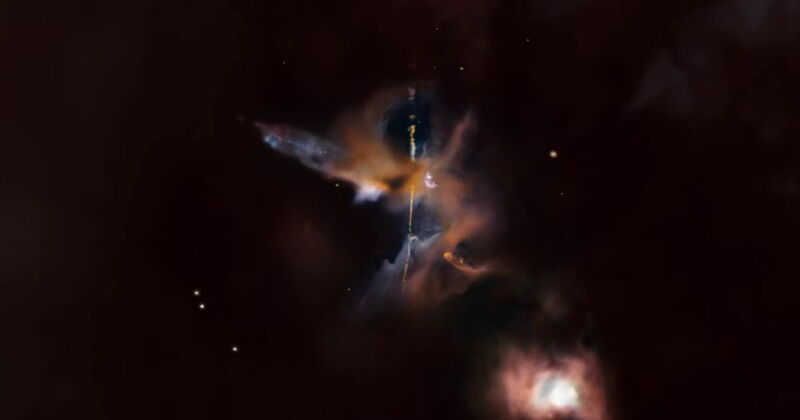 Images taken by the Hubble Space Telescope have revealed what appears to be an incredibly large, double-edged light saber about 1,350 light years away on the other side of the Milky Way, near the Orion constellation. The object is known as the HH 24 and it was released this week in an amazing video provided by NASA. It’s pretty cool that they look like giant lightsabers, but they are also neat because only a few of them have ever been detected in infrared. The James Webb Telescope, set to replace the Hubble, will likely study it in greater detail, as it will have better technology to do so. In celebration of Star Wars: The Force Awakens, NASA put together a pair of videos to provide a virtual tour that flies through Orion to HH 24.